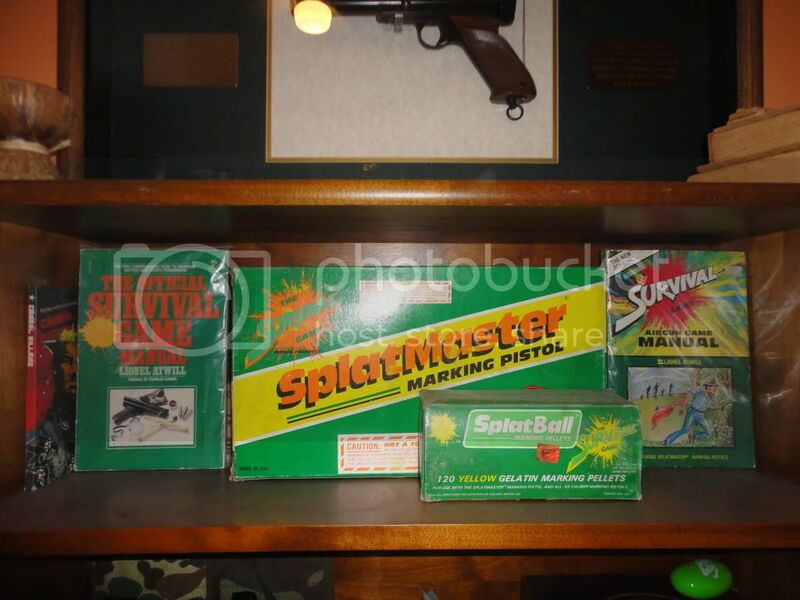 So i just thought i would show off some of my vintage paintball collection and see what you guys think. 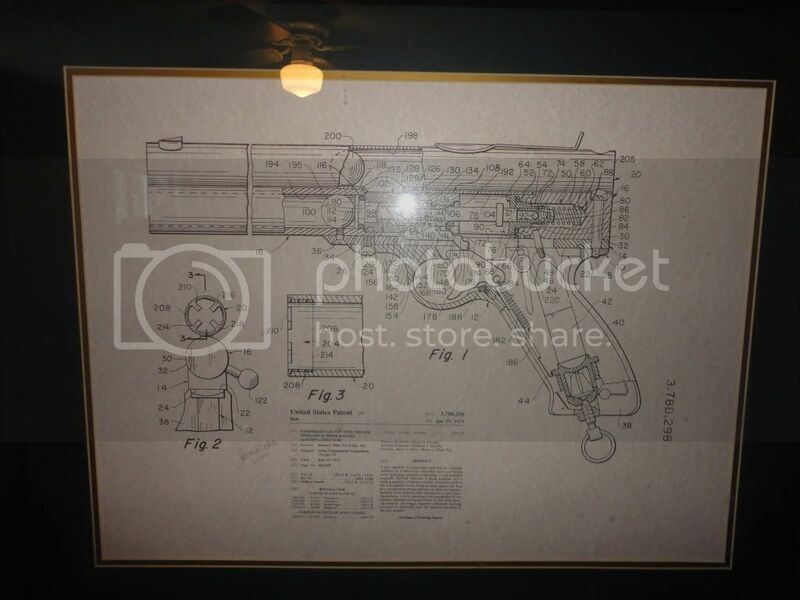 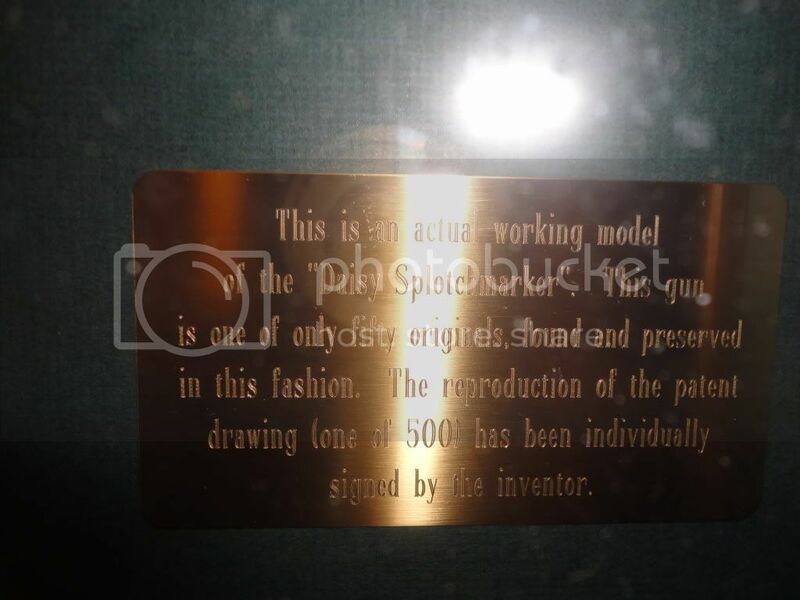 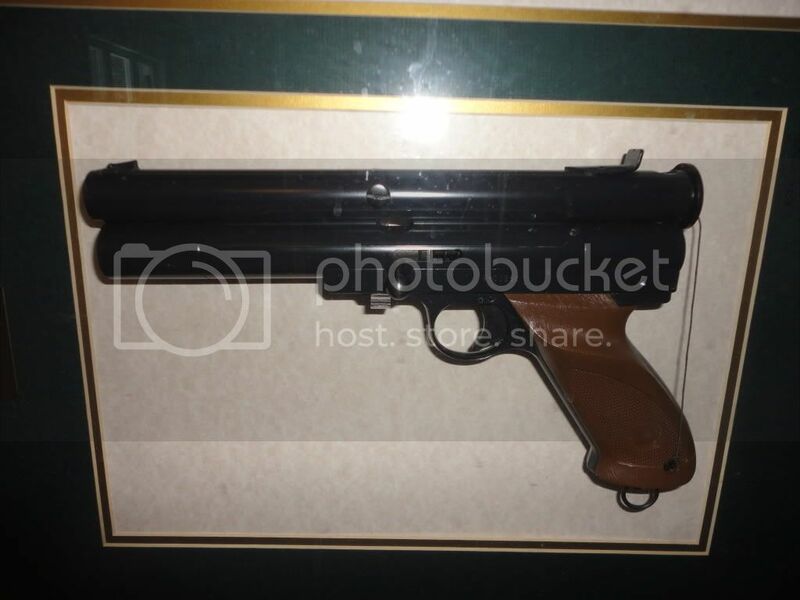 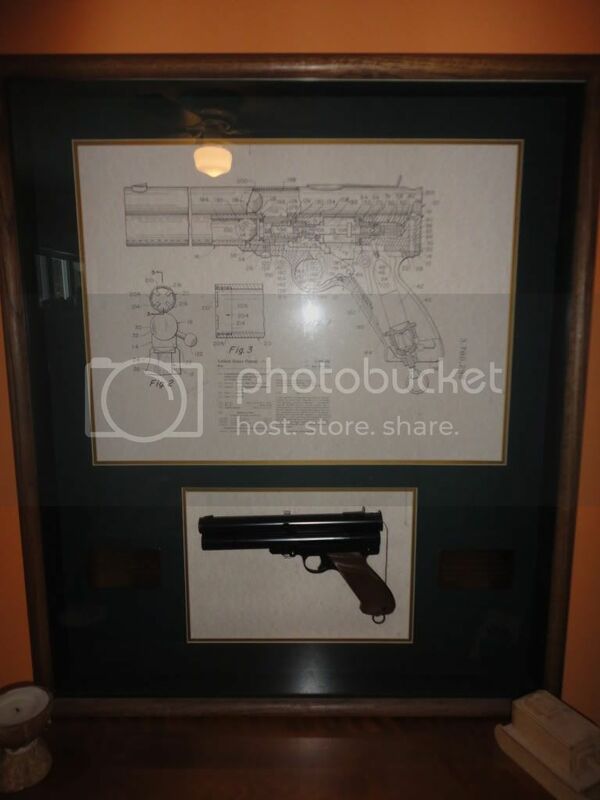 First off is my jewel of the collection, it is 1 of 50 nelspots framed and it has an autographed patent drawing by james hale the inventor of the nelspot. 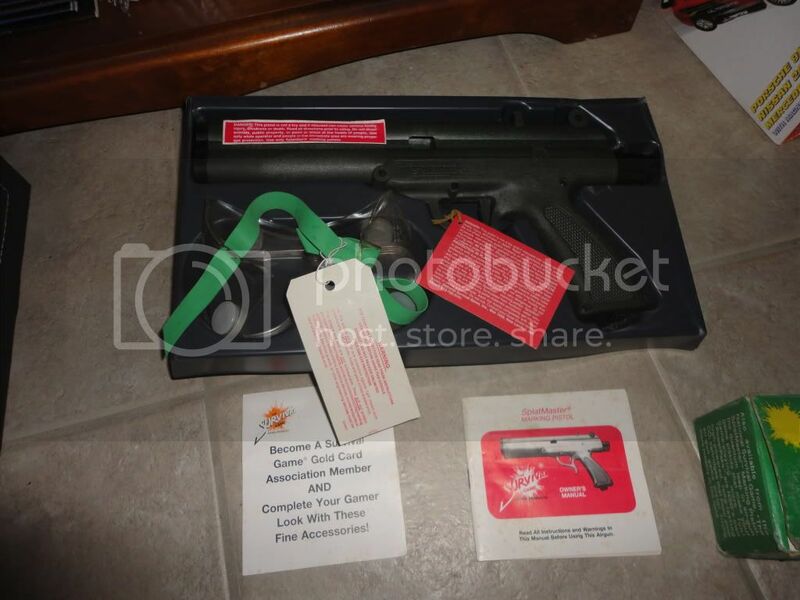 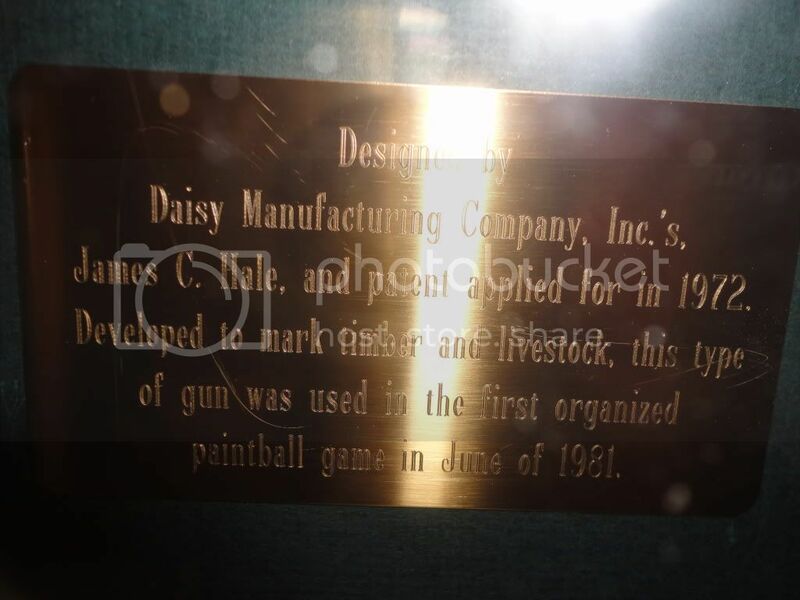 it is in super mint condition and it has two plaques on both sides of the marker giving the history of paintball and other such things. 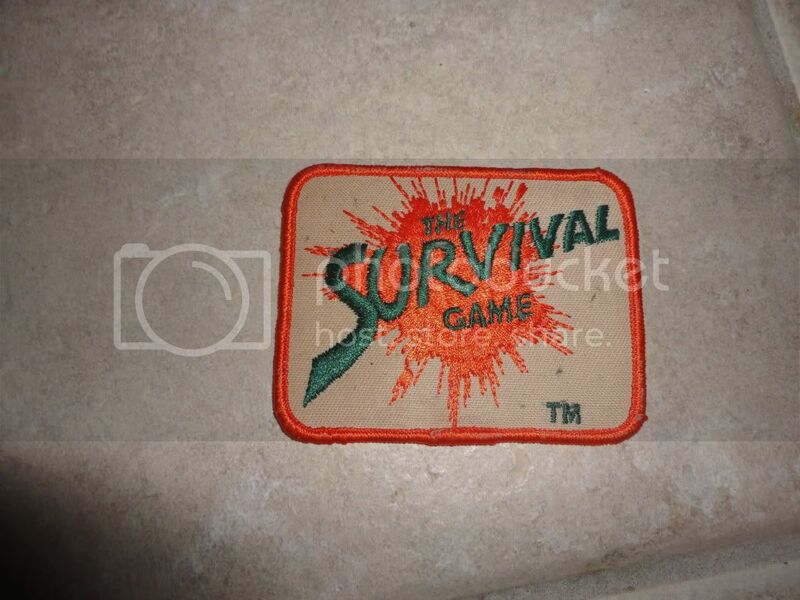 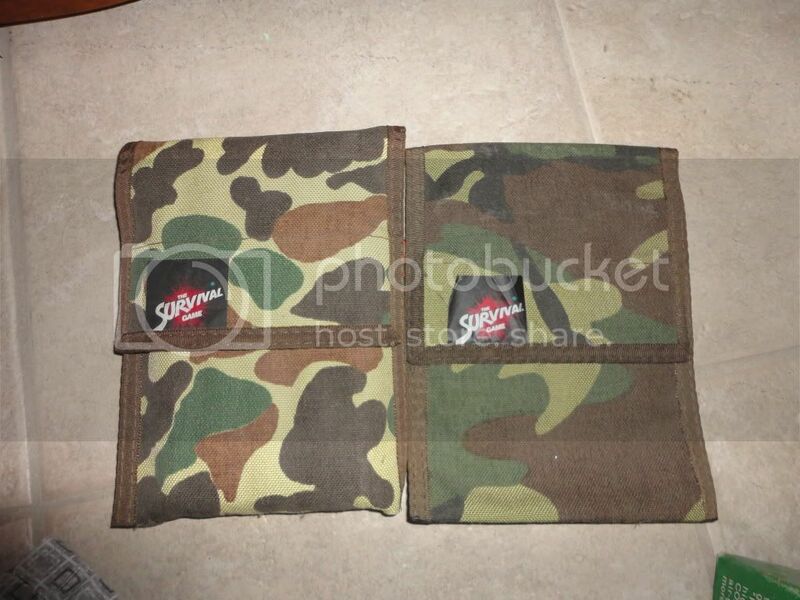 i first saw this at PTI and it was given out to all the top paintball companys and people back in the day. 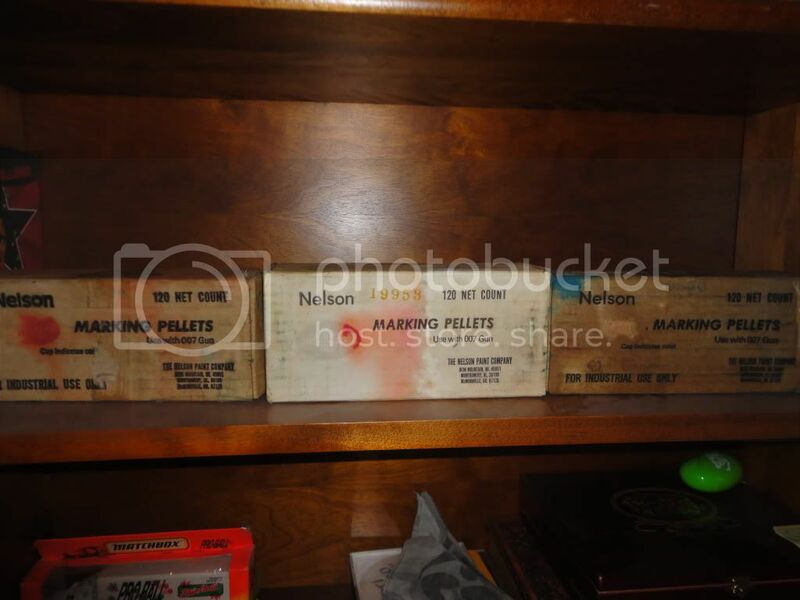 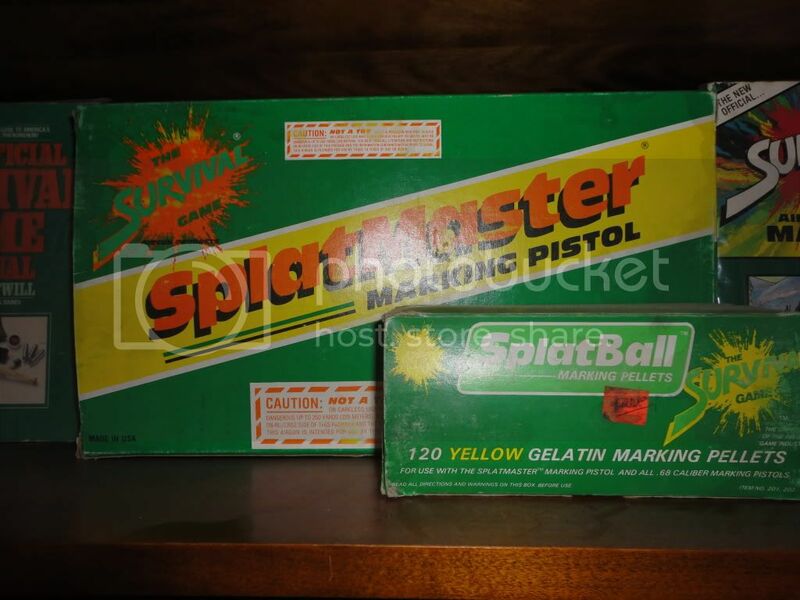 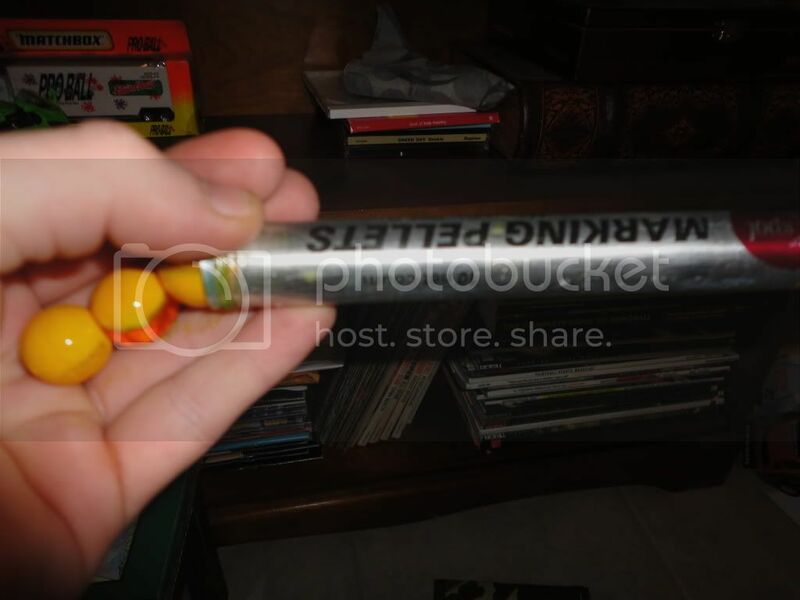 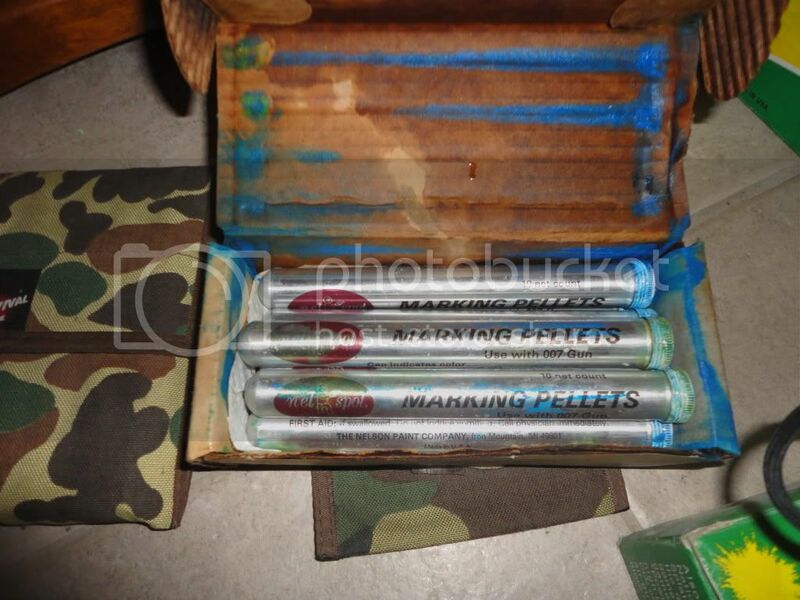 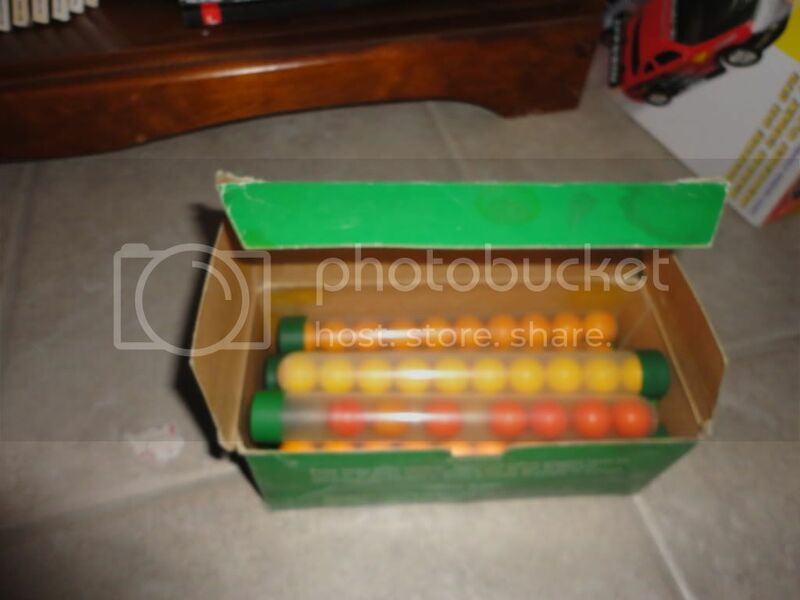 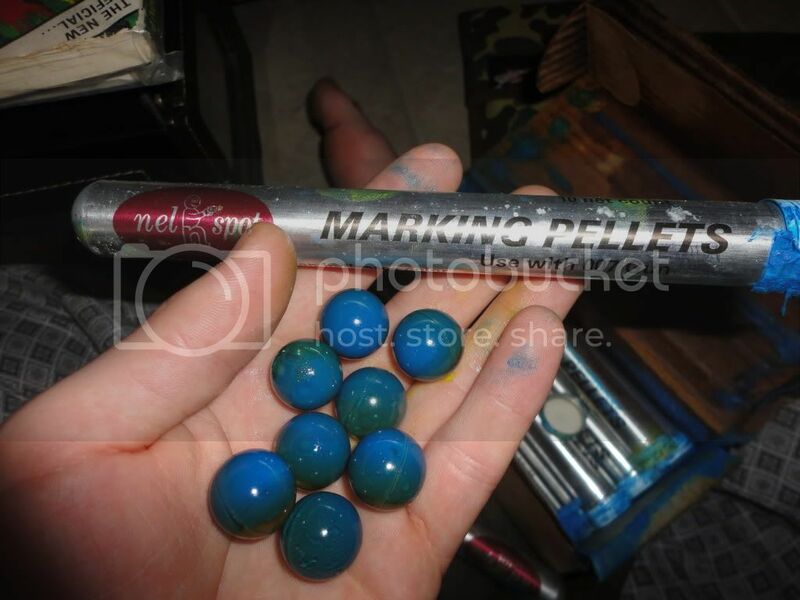 Next is the original nelspot paintballs, i have them in red, yellow and blue and some tubes contain unbroken paintballs. 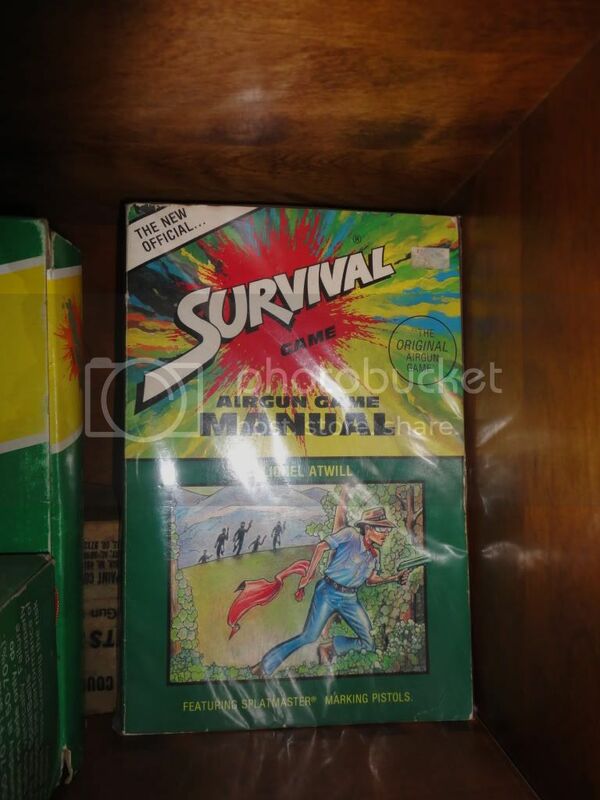 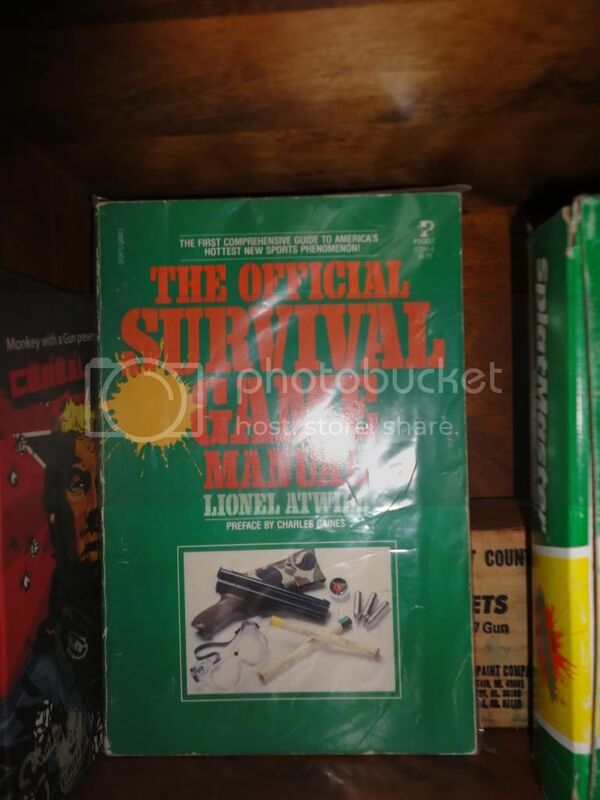 I also have the first two books written about paintball.